In a cool PR effort, Tesla has temporarily increased the range of some of its models to help Florida residents escape Hurricane Irma. According Electrek, Tesla has unlocked the full battery capacity of Model S and Model X 60 and 60D models with 75-kWh battery packs. For those that unfamiliar with the american manufacturer's line up, the '60' models were once the entry-level Model S and Model X variants and were software limited to 60-kWh despite having 75-kWh batteries. 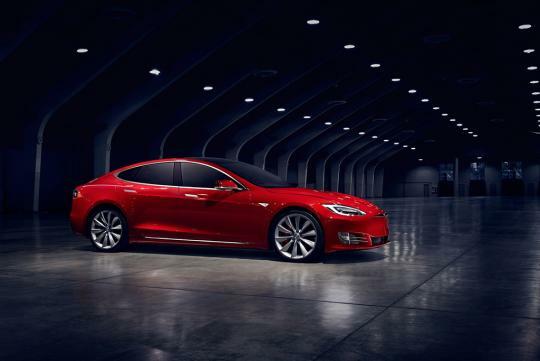 In the article, one Tesla owner found out one morning that when he went to his car he discovered that his Model S 60 had 64km of additional range and a '75' badge in its software. When contacted, Tesla responded that it offered the additional flexibility as it was contacted by an owner in a mandatory evacuation zone requiring an additional 48km of range to allow him to evacuate.